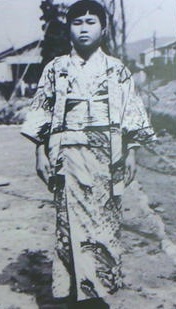 Sadako Sasaki was two years old when the Americans dropped the atomic bomb on August 6, 1945. It exploded about a mile from her home in Hiroshima and she was blown out of the window by the blast. As the family fled, they were covered in “black rain”, radioactive dust and ash. She survived and became a good runner, but when she was eleven she developed acute leukemia, which the people of Hiroshima called “atomic bomb disease”. She was given only one year to live. A local high school club brought some origami paper cranes into her room in hospital and her father told her the ancient Japanese legend that promised anyone who folds a thousand cranes would be granted a wish by the gods, such as long life or recovery from illness or injury. So Sadako began to fold cranes. She used medicine wrappings and whatever other paper she could find. Eventually she folded over 1000 cranes but nevertheless her condition worsened and she died in 1955 aged 12. But the memory of Sadako lives on. She is remembered as a symbol of the innocent victims of nuclear warfare. After her death, Sasaki’s friends raised funds to build a memorial to her and all of the children who had died from the effects of the atomic bomb. In Coventry, the Lord Mayor’s Committee for Peace and Reconciliation organise a commemoration of Hiroshima every year in Coventry Cathedral at which Sadako’s story is retold and paper cranes are folded. For more details about this day see this page.